Are you finding it hard to manage your business accounts? Do you want to leave the thinking part for the professional auditors? If it so then our services can assist you with the accounting issues. Miranda Management and Accountancy Services Ltd provide efficient bookkeeping and accountancy services. Our expert accountants in Canary Wharf will help you in ensuring the success of your respective business. Our professional and experienced team of accountants in Canary Wharf give their best to enhance the processes of your business. We offer expert services for tax management, payroll management, annual report preparation, conducting audits and other accounting responsibilities. Hence, Utmost importance is given to every detail of the problems experienced by the clients. Providing professional support to the clients in order to prevent any obstruction to business growth. So, It is our sole purpose to achieve complete satisfaction of our valuable clients. Working on better solutions for your queries associated with business accounts. However, our aim is to provide instant services and solutions to the clients. Respecting the time provided to us by our clients is valuable. Our focus lies in providing effective professional assistance irrespective of the scope of the problems. Our team experts always vouch to offer the best services to our clients. We give value and importance to your efforts in making the business venture a success. Which is why we ask you to avail our expert services and advice. Your business venture will attain the right vision and direction. By leaving the accounting activities on us you will get more time to think about new opportunities. 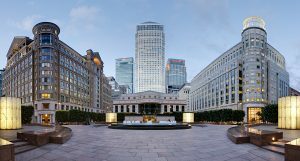 Our efficient accountants in Canary Wharf can guarantee complete security and safety of the services we provide. We understand the pressure you feel in running a business. So, if you are seeking for accountants in Canary Wharf, then feel free to get in touch us.